Although we take care of all spines (including men and non-pregnant women), at Gabaldon Chiropractic, we focus on prenatal and pediatric chiropractic care. Mothers, babies, and kids make up 80% of our practice and we LOVE IT!! 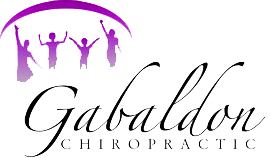 At Gabaldon Chiropractic our aim is to remove any unnecessary stress or tension and make you feel comfortable during your visit with Dr. Gabaldon. We even have a kid’s play area to keep the little ones entertained! The Webster Technique is a chiropractic technique used to align the pelvis, allowing the baby to get into an optimal position for birth.